Surrounded by a natural amphitheatre of mountains, Samara sits in perfect serenity with the reserve’s pristine wilderness. Combining colonial comforts with the essence of Mother Nature, the lodge treats you with exceptional service, meaning you can kick back and allow the tranquility of the Karoo to envelop your soul. Since opening in 2005 Samara Private Game Reserve has built its name as an outstanding and dedicated South African conservation destination where guests can enjoy the most magnificent Karoo landscapes and be treated to exceptional service, kick back and allow the tranquillity of the Karoo to envelop their souls. Many guests have relaxed on the veranda, surrounded by a natural amphitheatre of mountains, and wished that this was home. 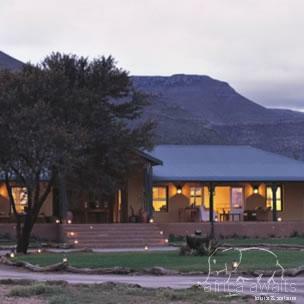 Surrounded by a natural amphitheatre of mountains, Karoo Lodge sits in perfect serenity with the reserve’s pristine wilderness. Combining colonial comforts with the essence of Mother Nature, the lodge treats you with exceptional service, meaning you can kick back and allow the tranquility of the Karoo to envelop your soul. If you choose, you can leave the game for another day and indulge yourself in the luxury of your suite and let our experienced therapist ease you into relaxation with her aromatic oils and local charm. Echoing the pulse of the Karoo, the interiors seek to fuse the elegance of luxury colonial style cottages with the untamed beauty of the African bush. Cradled in the softest linen, you can lose yourself in the sleepy rhythms of the land as the tranquil sounds of the Karoo lull you into an idyllic state of relaxation and contentment. Quiet, but not silent, Africa’s voice whispers sweet nothings through the grasses. The Manor at Samara is for the exclusive use of up to 8 guests in luxury, air- conditioned en suite rooms with views over an extraordinary Karoo mountain landscape. You will arrive at this historic homestead and upon entering breathtaking views will unfold over a 21m infinity pool which descends into a natural water hole at which game can be present in the early morning and late afternoon.The Manor is unique in its warm design which reflects the local landscape and traditions whilst retaining a lovely light contemporary twist. The style of The Manor is the inspiration of well known South African designer John Zwiegelaar of John Jacob Interiors. Dining experiences include a boma, veranda, dining room and breakfast room as well as various bush dinning experiences. Relax in four spacious luxury suites, with the softest linen that lulls you to sleep. All the suites have en-suite bathrooms with free-standing baths. Services include a personal ranger, chef and butler. 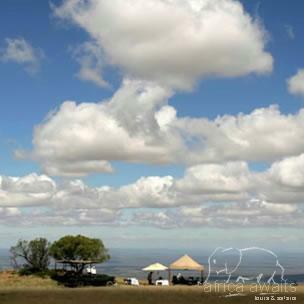 Whether you dine in the boma, under the stars or picnic overlooking the romantic plains of Camdeboo, you will savour the flavours of our mouth-watering cuisine hand selected and produced from our Karoo Kitchen. Our executive chef, will guide you through a cornucopia of flavours redolent of the wild surrounds and complimented by Iris Adams handpicked Karoo garden produce. The rich bush scents of Wild Rosemary and Fynbos are combined with traditional Karoo Lamb and Springbok Loin to create a gastronomic delight that never fails to seduce. Meals are all served with quality wines selected from our cellar. Unparalleled and humbling experiences await you at Samara. With four of the country’s seven biomes, Samara’s abundant wilderness preserves a complex and diverse ecosystem, providing habitat for over 60 mammal species. Among more common species, such as the Kudu and Duiker, the secretive Aardvark and the once-endangered White Rhino roam. Giraffes can be seen peeking over the thorny Acacia canopy, while Cheetah crouch, hidden in the grass, waiting for an opportunity to stretch their legs and test the speed of the Hartebeest. Whether ensconced in the comfort of an open game viewer, or trekking through the fragrant Karoo bush, you will feel the deep pulse of the Karoo that makes Samara truly magical. Discover the secrets of Samara as you explore the untouched Plains of Camdeboo that once staged the massive migrations of millions of Springbok. Fossils that predate the dinosaurs and well-preserved Bushman paintings offer a fascinating insight into some of the historical intricacies of our Earth’s history. 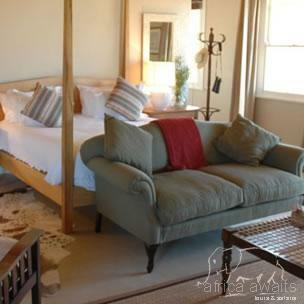 With your holiday, safari or business trip from in to Samara Private Game Reserve in Eastern Cape.